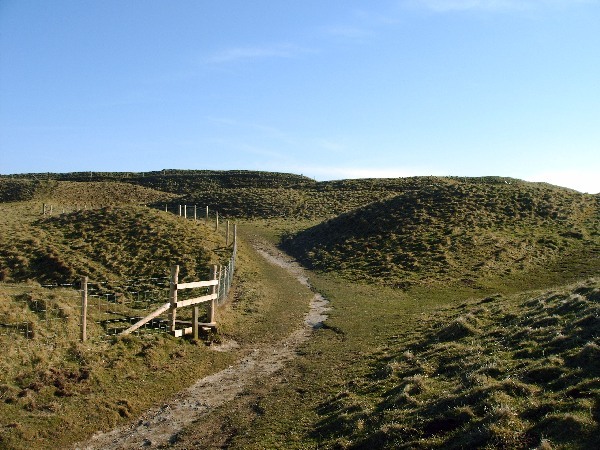 This countryside includes a nearby hillfort and the Ridgeway. The Ridgeway runs for a long distance across Southern England through countryside designated as being of outstanding natural beauty. The Ridgeway Path nmay be the oldest road in the world. The Wiltshire section of the Ridgeway runs from Overton Hill, near Avebury, to Ivinghoe Beacon, near Tring. It crosses the Wessex Downs and the Chilterns, passing close by 3 hill forts, Wayland's Smithy and the White Horse. 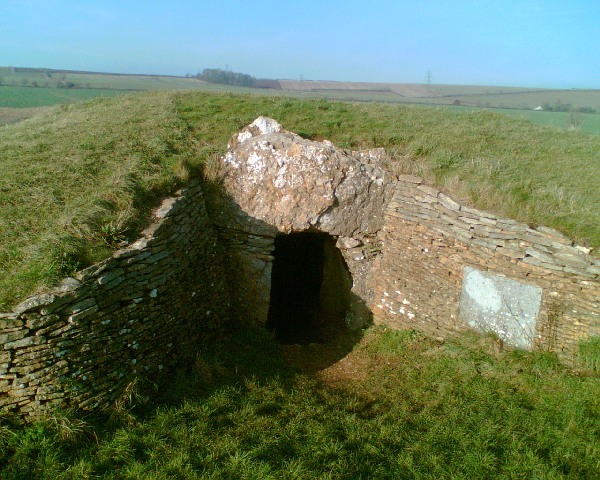 Wayland's Smithy, after which Mr Burn's sycophantic assistant in the Simpsons must be named, is a burial mound barrow. 22 bodies were found. The layout follows the pattern of an inner entrance way with small chambers at each side. This is a really good site, despite not being a barrow (such as West Kennet) that you can enter and walk round. You can still get into it and have a good look around.